Spring is on the horizon and change is in the air! This week Google+ launched the Google+Create program to showcase inspiring creators, the Android G+ app now has better Circle Stream access, and Chris Poole (4chan’s moot) joined Google. All Google’s official blogs are migrating from blogspot.com to their own domain - but they are still hosted by Blogger. And the Android N Developer Preview is available - join the Android Beta program to try it out. Other nice updates: Project Fi no longer requires an invite (but it's still US only), YouTube Gaming has improved navigation and is available in more countries, you can export your Google Docs documents in EPUB format, and now it’s easier to plan a trip in the Google Now app. Plus more updates, tips and articles! Image: Xpogo riders synchronize no-handed backflips in Rio, Brazil by Xpogo on Wikipedia, shared under the Creative Commons Attribution-Share Alike 3.0 Unported license. New! Chris Poole (moot), founder of 4Chan, joins Google, will contribute his experience building communities (Bradley Horowitz & Chris Poole) - Does that concern you? See Yonatan Zunger’s comments! Tip Is the new Google+ missing your favorite feature? Send feedback!! Tip Have you subscribed to the YouTube Help channel? New! Now no invite is required for Project Fi mobile carrier service! Plus a special deal on the Nexus 5X for new Fi-ers! 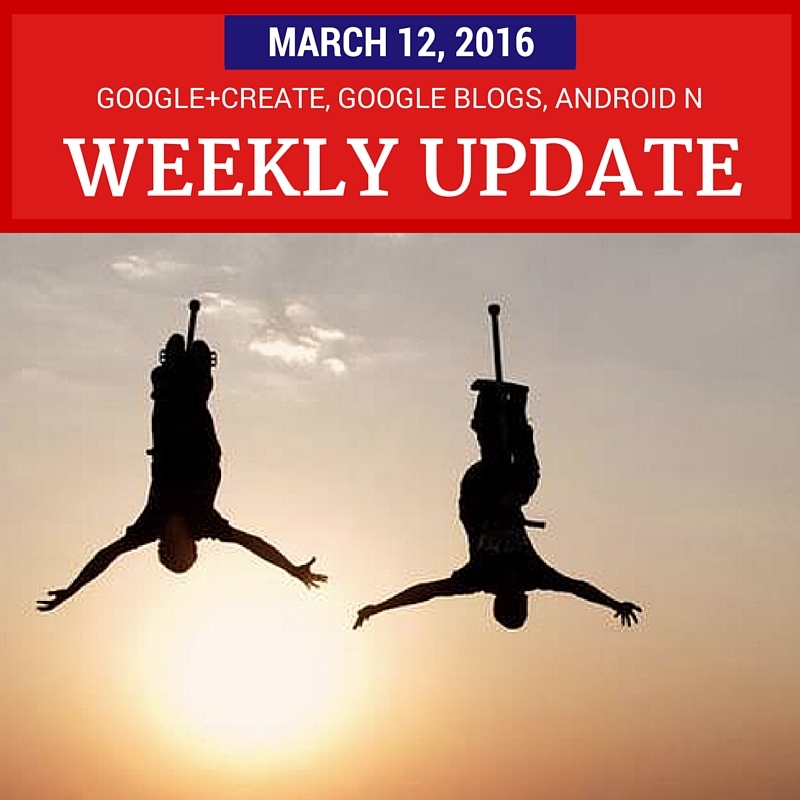 Week in Review - March 19, 2016: Spring edition!